At Buckingham-Plano Road Veterinary Clinic, we always have your pet’s best interest and health at the heart of our care. 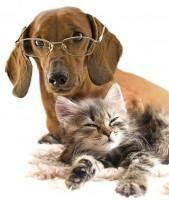 We understand that caring for your fur baby is of the utmost importance to you. We are always looking for ways to give the best care at the best value. We want to help enable you to give them the care we know you want them to have.